In brief: Empire Cake is quite possibly the most underrated bakery of American cakes. This wee slice of Liliko'i (passion fruit) cake you see below was like a small bit of heaven. We have never had anything at Empire Cake that wasn't delicious. Or rather, everything we have ever had at Empire Cake has been pretty much perfect. Their cakes are not overly sweet with moist cake centers and amazingly balanced flavors. 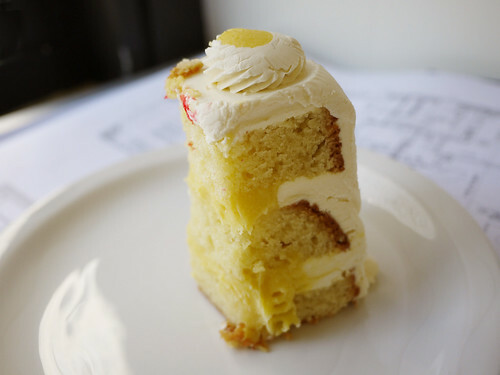 In this case the tartness of the passion fruit was offset by the coconut cream frosting in a way that you were almost obligated to have a bite with a little bit of it all.